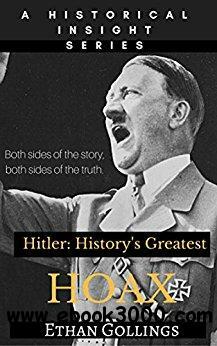 Adolf Hitler is notoriously the most hated man in history. Once a miserable citizen of the Austro-Hungarian empire, turned WW1 "hero", and eventually the Fuhrer of a country in absolute political turmoil. The little man who would shake up the world and change the course of history forever. In this book we will travel from 1878-1945 in order to sort the facts from the fiction of the most debated about man in history and the time in which he lived. In doing so, we will examine shocking evidence from Mein Kampf and various tape recordings in private, as well as speeches, to discover what Adolf Hitler really was. Was he a huge German Nationalist with fabricated dreams of racial purity, or a genocidal work of evil willing to do anything to corrupt the world? Once you've read this book you'll know the answer to this question. Why read this book? It is the balanced interpretation of a crafted work of evil. One that with any luck will answer any questions you have about this period; going from the creation of the German empire to the aftermath of the fall of the Third Reich, this is Hitler's rise and fall in words.